The truth is this: ‘associations’ have that stigma about them that says they’ll just ‘sit there.’ They’re a resource. Just in case you need something, in this case for your small business, the SBA is there for you. But no one really realizes just how integral they are in the support of your business — these associations really want you to take advantage of their services! 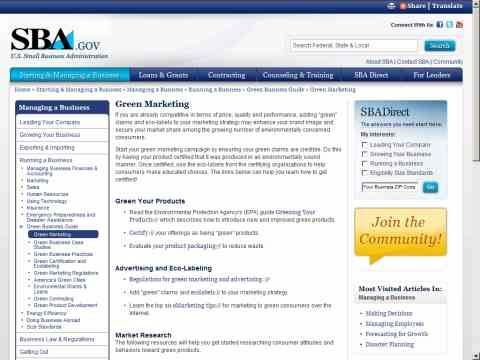 Even if you know what you’re doing — you’ve crossed your t’s and dotted your i’s, you have a huge history of experience under your belt to lead you through the scary waters of entrepreneurship — you really, really, really (and more time, really) need to employ every single resource that comes from the SBA…. Especially if You’re a Woman! That’s no joke. Seriously. Many might not realize it, but the SBA offers a listing of nearly 100 business centers dedicated to helping women start their own business…. 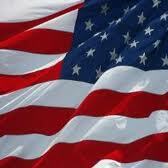 Can you say, God Bless America? Talk about equal rights. Talk about making sure everyone has an equal chance in achieving the American Dream. There’s even the Office of Women’s Business Ownership. Tied in with the fact that you have an opportunity for support in your journey toward your very own company — whatever it may be — there’s a central hub where everyone can get a foot in the door. This office actually oversees all those business centers! Furthermore, you’re in for some serious progression in the job market, knowing that the SBA has only recently solidified what is called the WOSB contracting program (Women Owned Small Business). The fact is women-owned businesses out there are one of the fastest-growing establishments in corporate America. That should tell you something if you’re a woman. It tells you that you can do it. You can own it. You can live it. Nothing’s too big for you. And your small business can thrive in a corporate world that for the most part was always dominated by men. And it shows in the people working in the office itself: you’re looking at well over 70 dedicated individuals bringing every bit of support and care for the female entrepreneur. Everything from financial assistance (yes, the SBA can even give you money to start you off right) to (and this one will blow you away) DISASTER assistance. “Disaster” assistance? What the heck does that mean, you say? Seriously, think about it: think about Hurricane Katrina, floods, fires, robbery. Disasters. Yes, the SBA even helps out a business thrive through the throes of disaster. Because everyone knows that a disaster is a quick knockout punch to any small business. And it’s a scary thought. The SBA takes care of that. Just use the resources! If anyone was ever having fears about going into business for themselves, the SBA squashes those fears cold. No doubt about that. (pointing at you) Click on the link, man. 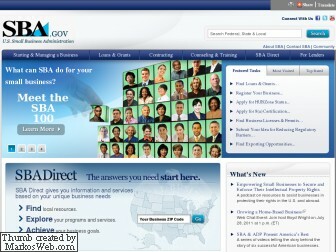 Take a look at the SBA. Whether you’re a woman, man, alien from Mars. It doesn’t matter. You want to make it big in your business? Tune in to the SBA. This entry was posted in Small Business and tagged counseling, entrepreneurship, financial support, help, resources, small businesses, training, women entrepreneurs by Pierre. Bookmark the permalink.